Our rooftops take a serious beating, battling the elements throughout the year keeping us and our families nice, dry and safe. So it’s only natural when dirt, grime, and algae make your roof look like a living nightmare. How can you protect your roof the way that it protects you? The answer is with our roof cleaning service!! 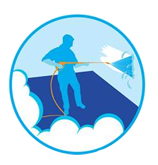 !When it comes to washing your roof soft pressure roof cleaning or soft washing is the way to go. There are two differences between power cleaning and soft washing. One is the amount of pressure or force the machine shoots the water out at. Soft washing utilizes much less pressure than pressure cleaning in order to avoid damaging the roof especially shingle type roofs. The other difference is if there are any detergents or soap concentrates that are mixed in with the water. In most cases power washing doesn't require detergents or soaps due to the high amount of pressure being enough to blast away grime, mold, and any other surface blemishes. Typically soft washing utilizes detergents in order to peel those layers of dirt off. Here at Pressure Washing Palm Harbor we take all necessary actions to avoid damaging the surrounding landscape with any detergents that we may use. Why Should I wash My Roof ? In addition to looking better, our services will protect a large investment of yours...Your home, by hiring a professional service like ourselves. Procrastination on roof maintenance can be a very expensive mistake to make. If you haven't had a good roof cleaning done it is possible for your roof to begin to grow algae stains, lichen and moss. These plants are known to cause damage to roofs over time as the roots begin to grow in between the shingles causing separation. Roof Cleaning Palm Harbor is a very common search term that many prospective clients right here on this page. We use the commercial grade equipment to ensure that you get the best possible clean. We're known for our exceptional customer service, professional staff and affordable prices. Those black touches discoloring your roof take away from the overall look as well as charm of your home or business. Those dark discolorations on your roof covering are really a living cyanobacteria. Gross huh? These bacteria are derived from the limestone filler that is utilized in the manufacturing of shingles. Left unchecked these bacteria are more than just a cosmetic issue they can drastically reduce the life span of your roof. Schedule a free quote today and see why we're the number one pressure washing service in Palm Harbor!